The God-girl Movement is retailing t-shirts at E 150 piece available in Sizes S-XL. The greatest (or at least one of) holiday season is upon us. Stores all over are stocking in on Easter eggs, rabbit shaped chocolates – and all the blah blahs. It’s in a way taking the form of the Christmas season. Meet Ishmael Khumalo, a Preacher, Radio Presenter, Husband, Father, and most importantly a disciple of Jesus Christ. You will be able to stream and download episodes of his phenomenal radio show “Be The Best You Can Be” on our website. It is setting us up for disaster when all we have to ourselves is just to “follow our heart”. We need to be more vigilant and more open to hearing what God speaks to us and that cannot be our reliance to our hearts. “If Sin is like a a drug, the world is the traphouse withouse Christ, your is gonna black-out”, these are the intro lyrics to the recent banger by Skeel x Calliber entitled “RELEASE[d]”. This week saw the duo drop the visuals for this amazing track as well as the song went on to reach no. 2 on the Eswatini Weekly Chart Show hosted by DJ Lindz and DJ Tizalami. I recently fell into a population segment I never imagined I would be of part at any stage of my life. Its a segment that can keep you in a season where one day you are up and motivated and the next super depressed. I am talking about unemployment. Meet Lihle Khoza, she is the founder of “The God-Girl Movement”, a non-denominational girl’s non-profit organization and ministry founded in 2012, with a mission of “Changing the world- One girl at a time”. Rapperswitch & Team donate shoes to Mqolo Primary School. RapperSwitch recently went on social media this month and rallied for people’s support in helping him buy school shoes for children going to Mqolo Primary School, located in Corporation in Mbabane City. In the video, he pleaded with people to donate an amount of E 100.00, as that will help him purchase the school shoes. Skeel and Calliber are set to release a Music Video for their collaborative piece entitled “Release[d]”. Calliber hinted that there is a snippet of the video Skeel is about to be released to the public and we cannot wait! X.O. The Hip Hop Apostle is a name well known is the hip hop circles in Eswatini. He’s getting ready to release his highly anticipated project “Uzoba Strong EP” to his faithful fans and listeners. This past week, He released a snippet of the track “Going Forward” on Soundcloud. Skeel released a double dose of music on the 11th of August which so happened to the artist birthday as well as the same date the artist hosted his momentous show “Stainless Skeel” last year. Interestingly enough both pieces are strikingly different from one another as Skeel was exercising his artistic capacities in showing two different sides to his craft; poetry as well as rap. One is a poetic rendition over deep instrumentation with the main theme deliberately concealed until the end whilst the other a track, is an upbeat turn-up/trap piece reflecting on the never ending love of God. Sakhile “Skeel” Simelane is the only Christian Rap artist nominated at this year’s MTN SWAMA 2018 AWARDS. God has shown him favour this year with not just one, but TWO categories in which his craft has been affectionately been recognized. 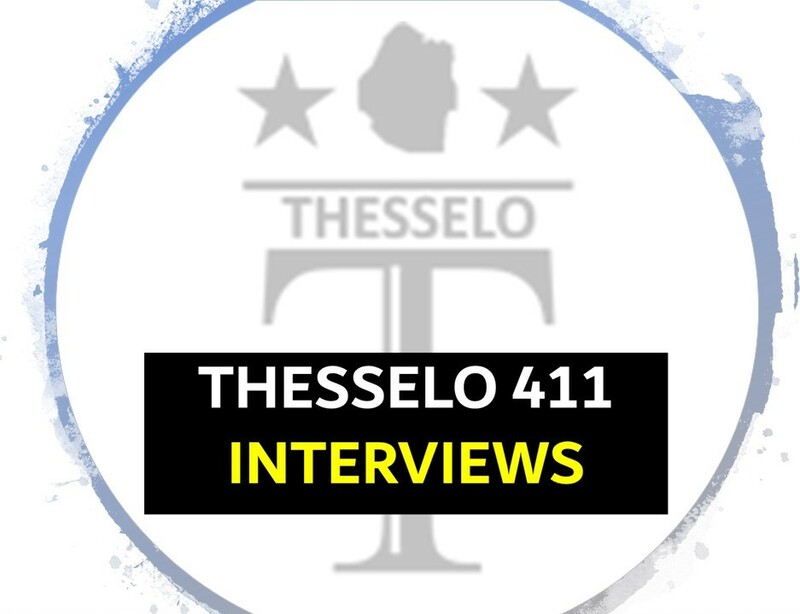 This serves as Episode 3 of the monthly Thesselo411 podcasts. South African gospel artist, Bheka Mthethwa, has just released visuals for the song “Gelekeqe” on YouTube this week. The piece features Eswatini’s very own Skeel and it was a part of Bheka Mthethwa’s project: “Supernal Sounds”. Eswatini collective rap group was recently invited to the Republic of South Africa in Centurion for a Worship Night. It was declared from the Throne, by his Majesty King Mswati III, that the Kingdom of Swaziland will now be known as “The Kingdom of Eswatini”. The name change carries significance to some and confusion to others but in the end it is something we must all start to get familiar with. 116 clique lovers from Eswatini have been ecstatic over the news that Hip-hop rapstar Lecrae will be visiting the Republic of South Africa in a month’s time. As a artist myself, many times i hear the lament of my fellow craftsmen of not receiving enough support from people who call themselves “fans” or “supporters” of their music. In the same vein, I meditated on ways artists (more especially Christian rap artists) can be supported in their labor of making quality Christ glorifying music. This serves as Thesselo 411’s audio podcast for the month of February/March 2018. Has Snoop Dogg joined Christian Rap?? Recently, Pastor Emmanuel and the RED Foundation hosted the “RED HIP HOP EXPERIENCE” at the Liberty Community Hall in Manzini on the 24th of February. The event was geared as a platform to showcase Christian Rap acts in the Kingdom of Swaziland as well table issues regarding the perception of Christian Hip Hop and its role in the local church as a tool of evangelism and ministry. Sakhile Simelane, affectionately known as “Skeel”, has officially released his EP entitled “Construction”. Skeel is an enthusiastic, God-fearing, Artist, MC and Poet renown among many for his comedy, clever wordplay and great artistry among many in the Kingdom of Swaziland.